Waitress, based on the 2007 movie of the same title, follows the story of Jenna, a woman who is pregnant without any desire to be, trapped in an abusive relationship in a small town with no hope for a future outside of fear and false positivity. She escapes from her trauma through the baking of pies, creations of her own that she names after their uniquely combined themed ingredients and the events that inspired them, and recipes of her mother’s that once instructed her own baking. She sells her goods at Joe’s Pie Diner, where she’s also a waitress, and this job and the friends she has there exist as her only world outside her husband. The two other waitresses at the diner, Becky and Dawn, are Jenna’s best friends and closest confidantes, women with their own nuances and quirks, but like Jenna, harboring fantasies of better love than they’ve seen and lives that aren’t so sheltered and full of drudgery. When Jenna meets her new male gynecologist and sparks of lust start to fly between them, she’s forced to face up to all the things inside her that are hurting, and take action to change them. What begins as a story of a romantic love that helps to free Jenna from all the things chaining her to a miserable life becomes a story of love in so many other contexts. Jenna finds her happiness by accepting the kinds of love she truly deserves, especially the love that will be there for her the longest, and rejecting those who compromise her potential to feel powerful in her own life. Beyond anything else, Waitress is truly a story about women. The three waitresses work hard to inspire each other as they follow their own individual paths to create their own joys in a world that doesn’t often cater to them. Becky and Dawn are stubbornly insistent that Jenna leave her abusive husband, taking care of her in ways that markedly demonstrate the undeniable bonds of women in times of hardship. Jenna and Becky look out for Dawn as she takes her first tentative steps into dating and falling in love, and Dawn and Jenna don’t shy away from trying to soften some of Becky’s sharp edges. With the support of one another, an unquestionable team built on deep love and validation, all three are able to confidently conquer obstacles that otherwise may have never been addressed. It is this simplicity and sincerity of the bonds of love and friendship between women that makes Waitress a truly special undertaking. Created and written by a team of all women, the show is unapologetically feminist in its discussion of the reality of the lives of everyday women in American society. With the spellbindingly intricate harmonies of Sara Bareilles’ compositions, reminiscent of retro radio songstresses and rural American music stylings, Waitress is atmospherically complex while reflecting a refreshingly honest vision of the typical small southern American town. This touching and earnest musical presents a tender and layered plot while seeking to analyze the various kinds of labor that so many women perform on a daily basis without credit, from the emotional to the physical. Within this core idealism, we learn from all the characters what it truly looks like when you ‘make the best of what you have’ while still remembering and valuing your own worth. 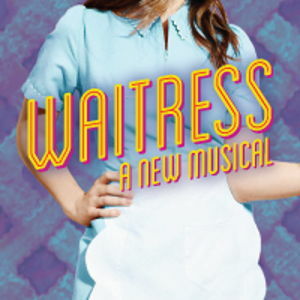 Delicately and with eternal charm, Waitress reminds its audience that the right to make free choices should not be eclipsed by the needs of anyone else, and when one’s own goals are allowed to shine outright, we can all find true happiness in the simplest and most rewarding ways.